Voted as “Best Pizza in Connecticut”, and earning numerous awards locally in 2010-2013, it’s safe to say Jordan’s Restaurant & Pizza is doing something right in their Wesport kitchen. Jordan’s Restaurant & Pizza is a family owned and operated establishment that has been serving customers since 1978. That’s a lot of satisfied customers! Known for fantastic Pizzas and for being the “Best In The Catering Business,” Jordan’s also provides food service for dine-in, take-out, delivery, as well as large parties and event catering for any function or even for small family events. Specializing in Greek and Italian cuisine along with the infamous Greek style pan pizza, this place serves up plenty to leave you chatting about. The pizza sauce and dough are made fresh daily and all of the toppings are the finest freshest ingredients. We want to invite all of you to taste what many are calling the best pizza you can find. We’ve only featured the best, and here’s one more for ya! Jordan’s in Westport! No, seriously the BEST PIZZA EVER! A must try!!!!!!! Best pizza around! Great staff. Greek owners who can whip up the best Italian dishes you’ve ever had in a pizzeria. Greek food is also really good and the Pella salad is unlike any other salad you’ve ever seen. Good stuff!!! Really good pizza. In my top 5 for Fairfield County for sure. The salad dressing they sell is really good and of course their famous pella salad. A must try if you haven’t. My favorite pizza in Westport. The food is always prepared fresh and everything on the menu is very good. Known for their pizzas and salads. You can google their famous salad and see it pop up everywhere. They have more than one restaurant too although I’m not sure if they all serve the same style food. Greek/Italian mostly at this one. I pass through Wesport all the time and this is my stop for pizza. The salad is popular and unlike any normal salad. They’re really a good family business that still keeps the heart and soul in their food. They sell their old recipe dressing which is very good and been in the family for years. It’s that type of place. Good people and good food you can appreciate. One of my favorite pizzas. The Pella Salad is the best salad you’ll eat I promise. The only other place that serves a salad that can compete is Meli Melo in Greenwich, but good luck trying to get a seat and the prices are high…it’s Greenwich Ave, so it’s expected. Great food at a very reasonable price. Staff is always great and the service is never an issue. The menu looks great. Gonna definitely check this one out. Love good Greek food. NYC has the best I’ve tried so far unless they specialize in it. Looking forward to trying this one. Love these guys. Probably the best pound for pound pizza, salads, Greek and Italian in the area. Known for the pella salad in the dough basket with chicken and feta, they’ve made a good name for themselves and also invented a great salad dressing that you won’t find anywhere else. They have really good steak and cheese wedges also and the meatballs are very good. For the price and quality, I would put Jordan’s on my top pizzerias list from Stamford to Westport. The Pella Salad in the dough basket with grilled chicken and feta cheese is probably one of the best salads I’ve had. The homemade dressing is really good. Definitely a unique salad and unlike any you’ll come across. 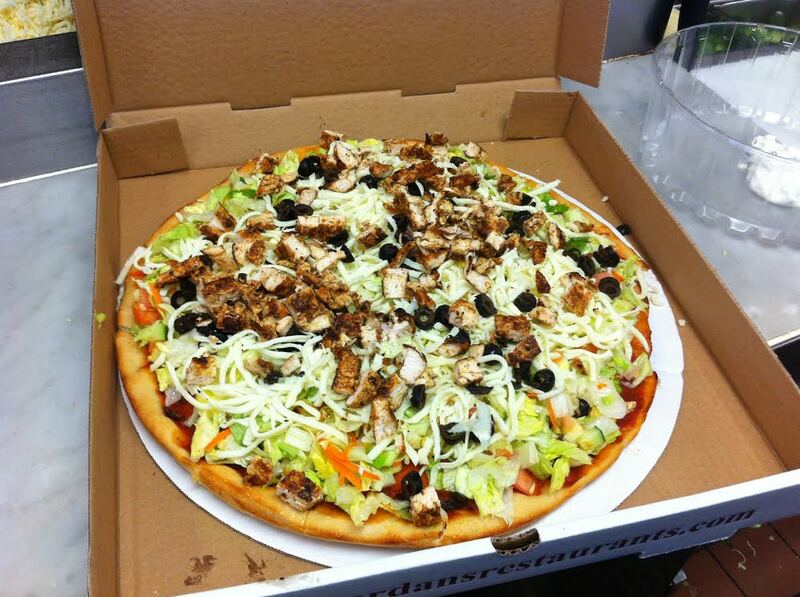 The pizzas are also very good and well known along with the Gyros and Greek platters.